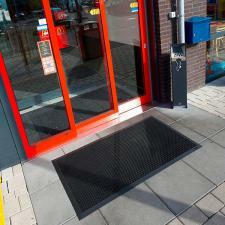 The Oct-O-Flex Outdoor Entrance Mat heavy-duty rubber outdoor entrance mat by No Trax is specifically made to withstand the harshest of weather conditions. 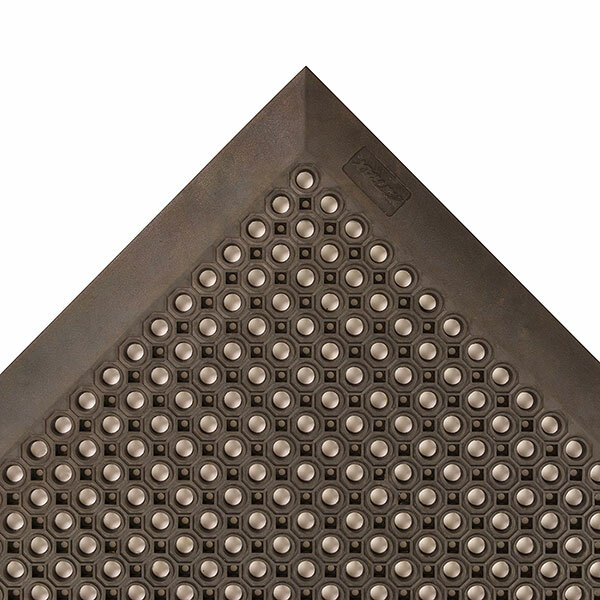 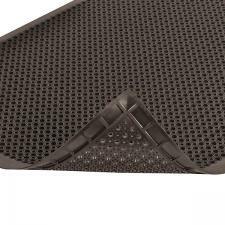 With a unique design that features holes for water drainage, this mat is the best at keeping wetness and soil away from any entrance area. 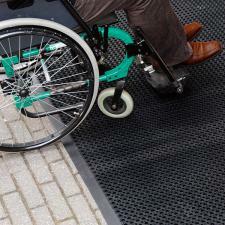 Plus, the Oct-O-Flex boasts a smooth top surface and beveled edging on all sides of the mat, makiong it wheelchair and cart friendly. An underside with raised knobs keeps the mat in place and helps prevent it from moving on any surface. Schools, retail stores, hospitals, car dealerships, office building and any other area with heavy traffic or carts/wheelchair traffic.